How Kratom Dosage Is Measured? What Effects Does Kratom Have? Is it Safe to Combine Kratom With Other Substances? Kratom is a native tropical tree often known as Mitragynaspeciosa with origins in Southeast Asia. The tree has leaves containing several compounds which can have mind-altering or psychotropic effects. 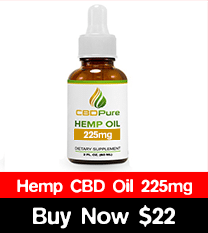 It is currently not considered an illegal substance, and is, therefore, easy to purchase through the internet. It is well thought that 7-hydroxymitragynine and mitragynine, which are found in kratom, may help in controlling pain by attaching to the proteins known as opioid receptors and reduce the perception of pain. They work exactly just as Opioid drugs, by minimizing the pain signals intensity from reaching the brain. They are also used effectively to reduce the effects of painful stimuli through influencing the regions of the brain involved in emotion regulations. Opioid drugs are a class of medications that are used for relieving pain. In lower doses, Kratom is considered to be a mild stimulant and a sedative drug in higher doses. In the native region in Southeast Asia, leaves of kratom are usually chewed while fresh after removal of the central vein which is stringy. Dried leaves are also chewable, but due to their toughness, many people prefer to make powder out of them by crushing so that they can easily be swallowed. Can be drunk after mixing with water, which is an easy and quick method. You can also use powdered kratom to mix it with liquids like milk, fruit juice, or even kefir. To mask the taste of kratom, Chocolate milk works perfectly. Kratom can as well be used to make a paste, which can be swallowed easily using water. It can also be mixed with yogurt or applesauce. It can be put into capsules. Dried leaves of kratom can be made into a tea which is strained and then taken. Kratom can also be smoked, which seems impractical, as the content of leaf constituting a typical dose can be too much to be easily smoked. If water is evaporated from kratom tea, a resin-like extract is formed, and then stored to be used later. You can dissolve small pellets from this extract in hot water and consume it as a tea, or just swallow it directly. To make it more palatable, you can mix ordinary black tea with kratom tea, any other herbal teas before consuming, and then add a sweetener such as honey or Sugar. The effects of Kratom are similar to those of stimulants and opioids. Two main compounds in kratom which are 7-α-hydroxymitragynine and mitragynine, do interact with receptors of opioid in the brain to produce pleasure, sedation, and decrease pain. This is especially if the plant is consumed in large amounts by users. Mitragynine may also interact with other systems of receptors in the brain to enhance production of stimulant effects. If kratom is taken in limited amounts, users demonstrate an increased amount of sociability, energy, and high alertness but not sedation. Kratom can, however, cause some uncomfortable feelings and dangerous side effects at times. Dosage measurement is best done using a scale. Since a normal dose of kratom is just a few grams, one should use a scale that could measure to a single gram and its accuracy of at least a 10th of one gram. The highly accurate, Low-cost, digital scales are readily available, and buying one is a huge investment because they can last for a lifetime and can be used for other things other than weighing kratom. Measurement of kratom by volume isn’t as accurate as measuring by weight, as the amount in any given volume of kratom is dependent on how fine the ground material is. It is obvious that a teaspoon of kratom which finely powdered weighs more than loosely crushed kratom in a teaspoon. On average, 1 teaspoon of finely powdered kratom which is commercially available, weighs approximately 2 grams. A tablespoon contains 3 teaspoons. This means that a tablespoon of powdered kratom weighs around 6 – 7 grams. For average potency, this is considered a mid-sized kratom dosage (It is a mild dosage for kratom in low-potency or strong dosage for kratom in high-potency). Coarsely crushed Kratom leaves definitely weigh much less than finely powdered kratom leaves by volume measurement. 1 teaspoon of coarsely powdered kratom which is commercially available, weighs approximately 0.8 grams. If these leaves are crushed loosely they will even weigh much less, depending on how fine the crushing has been done. Kratom is a unique drug in the way it demonstrates its effects. In moderate dosage, it will in most cases cause stimulations, and a high dosage will most likely cause sedation. Apparently, this is due to the active alkaloids which have both sedative and stimulant effects. What predominates depends on differences in both the individual and dosage between users. In most individuals, kratom is reported to have effects that are similar to those of opiate drugs. This isn’t a surprising Fact from a pharmacological perspective since kratom has alkaloids that usually act as opiate agonist receptors. Although kratom contains similar action mechanisms such as many opiate pain medications, it also doesn’t appear to be as much addictive. In fact, some individuals use kratom for overcoming the addictions of opiate. There is an increased motivation to get things done. There is an improvement in the ability to do monotonous and hard physical. The mood is elevated due to the antidepressant effect. One becomes more friendly, talkative, and sociable. kratom has stimulant effects that are quite different from other normal CNS stimulants, like amphetamine or caffeine drugs. Kratom is a stimulant which is more cognitive than being physical. Makes one less sensitive to emotional or physical feel, pain, and also causes a calm look. Causes a general feeling of pleasure and comfort. It is likely for one to get into a pleasant, and dreamy reverie. Sweating and itching experiences may kick in. Your pupils may also constrict. It is possible to feel nauseated. This can be solved by lying down and relaxing to quickly subside nausea. There is an increased appreciation of music. It is actually very pleasant to lie down in a room which is semi-darkened, eyes closed, and just continuously listen to favorite cool music. By doing this, you could be fortunately lucky enough to get into the mixed delightful state of “waking-dreaming”, where you are in the dreamland on one side and in the real world on another side. The Romantic writers prized this kind of state in the 19th century. They actually didn’t have any knowledge of kratom, so they resorted to using opium, which is much more habit-forming narcotic in order to achieve it. Sensitivity to kratom varies for different People vary. On the other hand, potency in kratom from several different sources can also vary (it can be much at times). Therefore, the dosage estimates should always be considered as loose approximations. It is always wise, to begin with a low dose when performing kind of an experiment with a new strain of kratom. With the increased frequency of usage, you can now increase the dose gradually with several experiments until one gets the required level of effects. It is usually advised that one shouldn’t take a strong dosage while sampling kratom in a new batch for the first time. The feeling of nausea is experienced by most people after using strong doses. At lower doses, the sensitive people could experience nausea. For this reasons, it is highly advised that one should take kratom when hungry while using strong doses. This means that you should only take it about 3 hours after you have eaten. When using strong doses, some people who are hypersensitive to kratom could experience extreme reactions like prolonged and severe vomiting. In the year 2017, the FDA (Food and Drug Administration) started issuing many warnings of kratom. They always demonstrated how at least 44 deaths were linked to the use of kratom. They also confirmed one death case that was investigated was as a result of using pure kratom. But most of these deaths related to kratom appeared to have resulted from products which were adulterated (different drugs mixed with kratom). This could also have been as a result of consuming kratom together with other substances which are potent. This includes opioids, illicit drugs, alcohol, gabapentin, benzodiazepines, and medications of over-the-counter like cough syrups. There have also been reports of packaging kratom as dietary ingredients or dietary supplements which were laced together with other death-causing compounds. Just like other opioid-like drugs with effects of addiction, kratom may cause dependence, meaning users may feel symptoms of physical withdrawal after stopping kratom consumption. Some consumers of kratom have reported of being addicted. Kratom addiction has no specific medical treatment. Behavioral therapy in treating someone in this situation has been helpful to most people seeking. More research needs to be conducted by Scientists in determining how effective this treatment is. In the recent past years, some individuals have used kratom for medical treatments as a herbal alternative in an attempt to control withdrawal cravings and symptoms caused by opioids addiction or even other addictive substances like alcohol. No proven scientific evidence has been established about the effectiveness or safeness of kratom for this purpose, and further research may be required. Generally, combination of drugs is risky. It is recommended that a combination of kratom ought not to be done with cocaine, yohimbine, huge doses of caffeine, or amphetamine-like drugs, due to the possibility of extreme stimulation or high blood pressure. It is also recommended that kratom shouldn’t be mixed with huge amounts of alcohol, opiates (other than the possible usage with red poppy tea), with benzodiazepines or any other system nerve-depressing drugs. This is due to the fact that these combinations may cause respiratory depression (slow breathing and ultimate death), or over-sedation. kratom should also be never combined with Banesteriopsiscaapi, Syrian rue, or any other MAO inhibitor drug. Serious or even reactions that are fatal may occur if MAO inhibitor drugs happen to be combined with drugs containing monoamines. This combination of kratom with MAO inhibitor drugs containing monoamine alkaloids is yet to be studied. There are certain combinations have been proved to be safe and pleasant by users. Kratom can also be safely combined with normal tea without any risks. It has been previously been used with a tea formed from the red poppy flowers (Papaverrhoeas). This by itself has a mild effect of narcotic, and with a sedating tea made from “blue lotus” (Nymphaeacaerulea). Kratom has also been safely combined with little amounts of alcohol. However, large quantities of alcohol need to be avoided. Some individuals report that they like smoking cannabis or tobacco while still under the kratom influence. But anyone who is smoking under the same kratom influence needs to be very careful in order not to nod and just drop lit materials from smoking. Kratom containing leaves with psychotropic effects is a native tropical tree in Southeast Asia. Kratom has not been classified as illegal and is therefore easy to make online orders. kratom is mostly consumed as a capsule or pill. 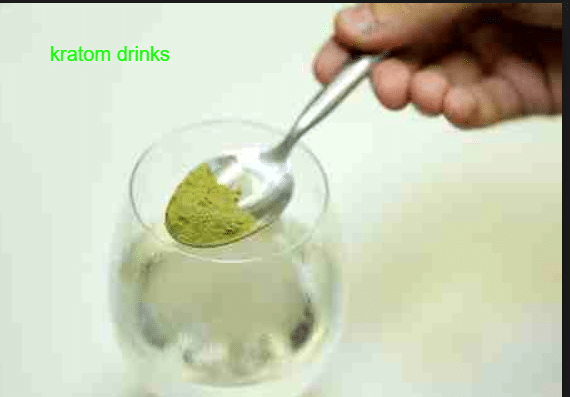 Some individuals do brew the powdered kratom leaves as tea or chew kratom leaves. The leaves can also be smoked or mixed with food and also eaten. The two main compounds in kratom, 7 hydroxymitragynine, and mitragynine interact with receptors of opioid in the brain to produce pleasure, sedation, and reduced pain. Mitragynine also interacts with other brain receptors to produce effects of stimulation. Health effects of using kratom include: sweating, nausea, psychotic symptoms, and seizures. kratom in the commercial form is at times laced with other death-causing compounds. Behavioral medications and therapies have specifically not been tested for treating addiction of kratom.